A muffin-top is a women's fat that is visible above the waistline of jeans or skirts. 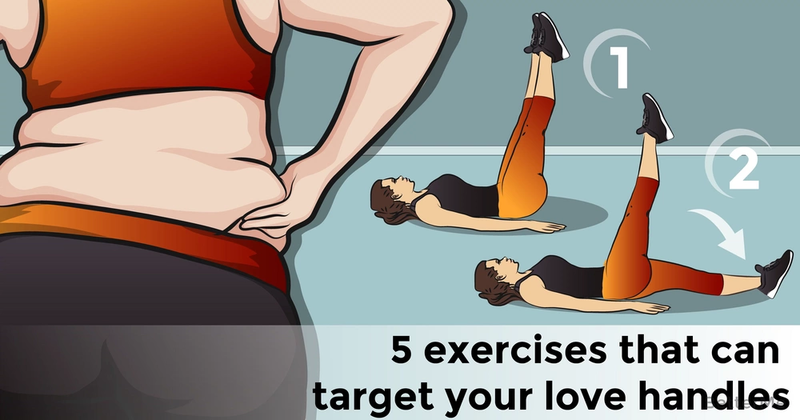 There are plenty of names for this problem such as "love handles" and "spare tire". Love handles can ruin the look of your physique and make you more prone to store body fat. How can you get rid of them? In order to lose belly fat and a muffin top, you should strengthen your core. We would like to show you these five moves targeted at sculpting your core and working your abs. This short workout can remove your spare tire and strengthen your lower and upper-abs. You can perform this training routine at home or you can hit the gym. It's up to you! It is essential to balance your diet with healthy products, as healthy nutrition plays a huge role in building your dream body. If you want to remove abdominal fat and your muffin top you should count calories, avoid junk food and sugar products and eat more proteins. Proper nutrition is the key to weight loss. This training routine consists of superman moves, side plank knee-tucks, downward facing dog, scissors and dynamic planks. Perform each move for ten-twelve repetitions with little to no rest between moves. Rest one minute between sets. You should perform the entire workout in fifteen minutes. Repeat this circuit three times. Are you ready to try? Scroll down to see the instructions and start your training routine right now. It's time to change your lifestyle! You can do it!